Alaskan Malamute Puppies For sale by Alaskan Malamute Dog breeders all over the United States including states like Colorado, Ohio, Arkansas, California, and South Carolina. We visit with every breeder before they are allowed to register with us as members. Our dog breeders register from states like Alabama, Missouri, and Texas everyday. All our breeders with Alaskan Malamute puppies for sale are willing to visit with new customers to be sure that the Alaskan Malamute is a good fit for the new owner. If you want more information regarding other puppies for sale in other dog breeds simply search our site through either our search by breed or search by state pages. 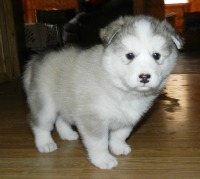 Candy Rock Kennels breed the beautiful Alaskan Malamute. Established in 1994 and breeding since they are located in Northern Ohio. All the Alaskan Malamute puppies at Candy Rock are AKC registered*. Finding great homes for these beautiful dogs are what Candy Rock Kennels is proud to be known for as dog breeders. We breed and train dogs and have for several years. We offer a customized training for each puppy or dog that we have available. We moved to an area that we have over 46 acres for our dogs to live and play on. We do strive for excellent temperament in all of our dogs. 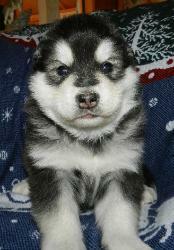 Please contact us for more information about our Alaskan Malamute puppies for sale.